With the Walmart app, customers can use their smartphones to shop at the store. Users link a credit card or bank account to the app. Then, at checkout, they can just scan the phone to pay rather than needing to have their wallets handy. The process is secured through a passcode, or, for some phones, through fingerprints. As long as the phone can use apps and has a camera, the Walmart app will work. The app has other features such as the ability to refill prescriptions at the Walmart pharmacy, store shopping lists, save wish lists, and arrange online orders. As with any retailer's app, Walmart tried to make its app a must-have for its users, since it was going up against the already well-established Apple Pay and Android Pay shopping apps. But Walmart is still one of the most prominent retailers in the world; in 2016, it was reported that Walmart served 140 million customers a week and 22 million used the shopping app. So it had that working to its advantage. One of the most popular features of the Walmart app is its Savings Catcher, which helps shoppers see that the price they pay at Walmart is the lowest-priced option available to them locally. But the app hasn't always been perfect, and Walmart went through a disastrous version of its shopping app before settling on one that was more customer friendly. Walmart introduced the Scan & Go program in select stores between 2012 and 2014. Originally, the program allowed customers to download the app to their phones and use their own phones as scanning devices. The program was a terrible failure, with customers complaining about the app and its issues. It was only available for iPhone users, store, personnel were not trained to use the app in case of problems, and there was no troubleshooting available if a product did not scan accurately. The program ended abruptly in 2014 due to overwhelmingly negative feedback. Here's how this very popular and highly used part of its app works. After a shopping trip, enter your Walmart receipt number into the Savings Catcher website or scan it using the Walmart app. Walmart will scan local competitors to see if the products you purchased are available for lower prices. If the products are found at a cheaper cost, the difference is credited to your account in the form of an electronic gift card. You have up to seven days to enter your receipt information. You can take out the money whenever you like, or you can let it build over time. Just be aware that the Savings Catcher funds must be withdrawn in the form of a Walmart gift card rather than cash. If Walmart is a regular part of your shopping routine, this is a great way to shop for your regular essentials without worrying about scanning ads or cutting coupons. Walmart does the legwork for you and gives you the savings to use on your next shopping trip. 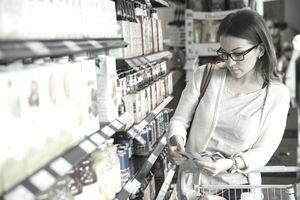 With the lessons learned from Scan & Go, Walmart has developed a user-friendly app that simplifies the shopping experience and helps customers save money, encouraging customer loyalty.